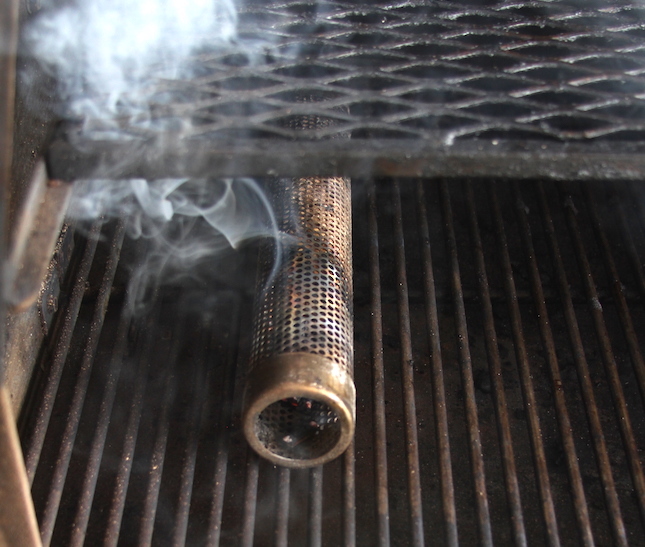 Preheat your Yoder Smoker YS640 to 400ºF. Fill an A-MAZE-N Tube Smoker on the bottom shelf, filled with your choice of wood pellets, and light with a torch. Drain and rinse the chickpeas. Place them on a paper towel lined pan. Let dry. Place the chickpeas on a sheet pan or foil pan. Toss in the oil and House of Q House BBQ Rub Spread chickpeas out evenly in a single layer. Place the pan on the top shelf of your cooker, and cook, tossing occasionally, for about an hour, until slightly crispy. 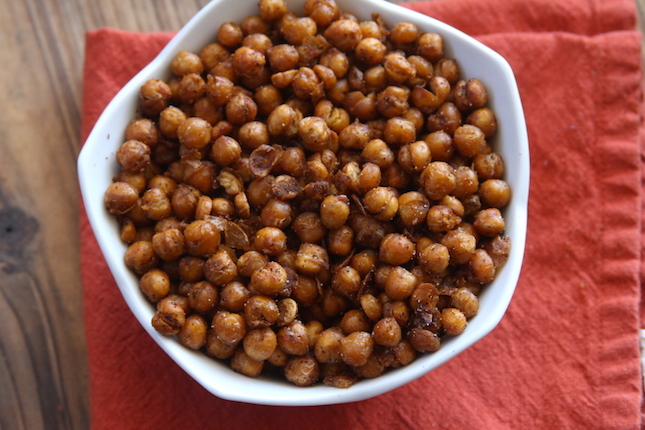 Remove from cooker, squeeze lime juice over chickpeas and toss. Serve with beer, probably.